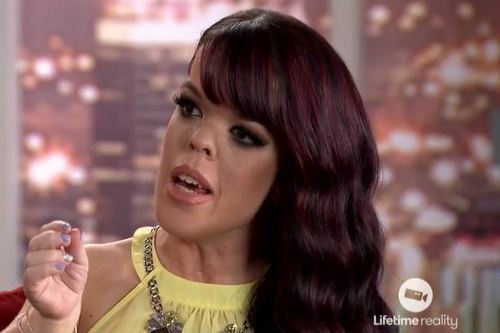 Little Women: LA’s Briana Renee Released From Hospital; Fires Back At Her Father’s Accusations! Right on the heels of Little Women: LA airing their second and final part of season four’s reunion, news is breaking all over the place about Briana Renee suddenly on the mend from her pregnancy scare last week. Briana was rushed to the hospital for pre-term labor symptoms at only 6-months pregnant, an obviously frightening situation. The timing of Briana’s hospitalization eerily coincided with both parts of the LWLA reunion shows, and if I were a more cynical person, I’d ponder whether the entire hospitalization was a publicity stunt. In actuality, I do think Briana and her baby were in real danger, which is simply awful. But good news is finally here: Briana and baby are both stable, and have finally been released from the hospital! It’s time for part two of the Little Women: LA reunion! And I, for one, could not be happier about the choice of hosts for this big ole mess. Last week, Kevin Frazier ran this show like a BOSS, and tonight he’s taking things one step further by insisting that Matt Ericson sit down, put his big boy pants (as opposed to his Peter Pan Pants) on, and listen up as his disgusting texts to other women are read aloud in front of the entire cast. Let us take a moment of silence to thank the reality gods for putting Kevin Frazier in our lives. Amen. Okay, here we go! Part one of the season 4 reunion ended on a stage break, during which Christy McGinity asked Briana Renee if she “okay’d” the sexts the entire cast was about to hear? No, says Briana. But it doesn’t look like she has much control. And let’s face it: not having control over anything happening around her, to her, or near her seems to be Briana’s ultimate character flaw. Or at least she believes it to be. I’d argue that she has plenty of control over this mess she’s in, but chooses to hide her head in the sand instead. Suddenly, Matt takes issue with the texts too, claiming they’re “grotesque” and he doesn’t want to stick around to hear them repeated. Uh, wait up homie! We thought you went into some sort of fugue state and didn’t recall anything about what you wrote? #RememberTHAT? It’s been a season of revelation and procreation, and here we are at the end of it all! Season 4 of Little Women: LA ended on a sour note for Briana Renee, whose long-maligned husband, Matt Ericson, was discovered sending d*ck pics yet again to multiple women. To make matters worse, Briana was pregnant at the time with Matt’s spawn baby. And in further heartbreaking news, Briana was rushed to the hospital just this week for pre-term contractions (she’s 6 months pregnant right now) due perhaps, in part, to stress. The situation is sad, no matter how you look at it. But Briana and Matt are capitalizing on their gigantic crapfest of a relationship with a 2-hour Lifetime special May 11 anyway! Because Briana’s family has not been humiliated enough yet? Cripes. In the mean time, the ladies sat down for a season 4 reunion with a new host (Thank you Jesus!! Last season’s was a passive aggressive wreck!!) to dish the dirt on everything from Matt’s sexting proclivities to Christy McGinity’s totally-legitimate-and-medically-proven “brain injury” to Tonya Banks’ desperate attempt at trapping her a live Kerwin! (Although we’ll only get to a small portion of this mess in part 1.) Yee haw! Let’s get to it. Dun dun DA dun DA dun dun! Cue the Imperial March theme because, folks, Matt Ericson is about to stroll right into to his own exploding Death Star! While the inevitable destruction of the dark side may initially come from the merry band of incessant nags surrounding Briana Renee (aka, her “friends”), a new hope springs from within! Because this time, Briana is listening to them. And miracle of miracles – even Jasmine Sorge is on board with the Resistance! After celebrating her Ride or Die wedding with Clyde, the honeymoon was over when Briana got wind of, what else? More d**k pics! Because, of course, Matt has sent them hither and yon, all across the galaxy. Ah, blessed internet. How we love thee! (Oh yeah – Christy McGinity and Terra Jole continue their bickering over who concussed who, and Elena Gant reveals the gender of her twins. But that’s really just window dressing for the real story at hand here – MORE D*CK PICS!!!!!!!!!!!!!!!!!) Thus, we come to the bitter end of a contentious season of Little Women: LA. While babies abound – Terra, Briana, and Elena are all pregnant – Briana must decide whether to stand by her baby daddy, delete all of his social media accounts and pretend like nothing happened, or move on. The blessed event is upon us: the day Briana Renee remarries the Clyde to her Bonnie, the Ride to her Die, Matt Ericson (aka Matthew Aaric Grundhoffer). While some of the Little Women: LA ladies are left off of the guest list celebrating their good fortune, one former friend seemingly ambushes Briana’s big day to…show her undying loyalty? Worm her way back into Briana’s life? Get more camera time? Perhaps all of the above! In any case, when Christy McGinity Gibel shows up at Briana’s wedding unannounced, Briana is forced to decide whether to forgive or forget her. Terra Jole and Jasmine Sorge are taking a stroll through the woods contemplating the mess Terra has made of her life. After the police report and media coverage of Terra hitting Christy in the head with a glass, Terra sees no need to make amends with her. As for Briana, Terra wants an apology for all of her past lies, but that ain’t gonna happen. So it looks like that’s bridge #2 burned. Jasmine tears up through her hundred foot eyelashes, confessing that she is stressed to the max being Briana’s matron of honor. In further sad news, Briana may not have invited her family to the wedding despite claiming she “wanted to.” Whatever that means. On the heels of last week’s bar fight, Christy McGinity Gibel and Terra Jole have nowhere to go…but to the tabloids? 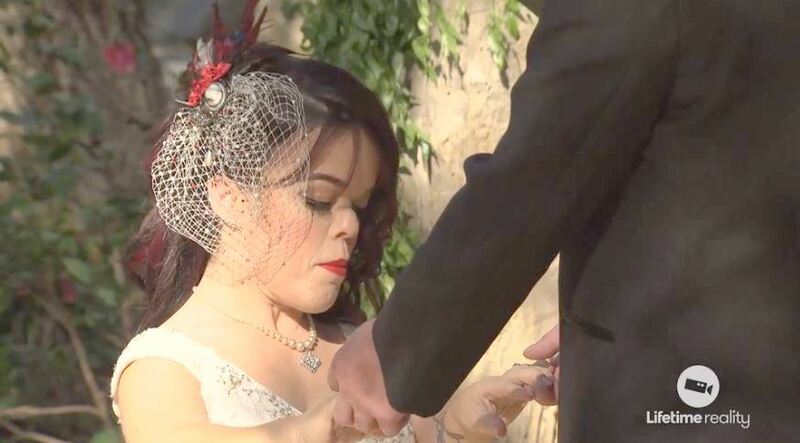 The ladies of Little Women: LA sure know how to celebrate good news! After Briana Renee dropped the bomb announced that she’s having Matt’s baby, all hell broke loose between Terra and Christy over Christy’s perceived lies and backstabbing. We pick up right where we left off: with glasses and accusations flying. Christy is crying in the corner, claiming she’s been injured. Briana tries valiantly to comfort her – with napkins. But dreams of juicy settlements are already dancing in Christy’s head. Jasmine Sorge and Tonya Banks are just trying to sort out what just went down. Jasmine doesn’t quite believe the public throwdown that just occurred. She counts herself lucky that it didn’t happen on her watch in Mexico. But Elena Gant, pregnant with twins – and strangely cool as a cucumber right now – defends Christy as just wanting to get back in Briana’s good graces. Thus, why she hasn’t been #TeamTerrable lately.